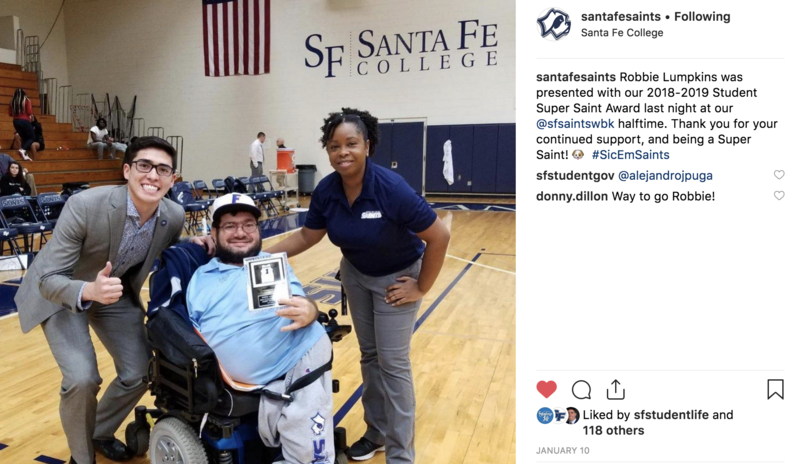 January 31, 2019 – Santa Fe College’s Communications & Creative Services (CCS) works with departments across the college on projects aimed at improving recruitment and retention and advancing the stature of the college. The college brand is central to these projects. Just like consumer brands that we recognize and associate with certain expectations, our college brand makes a promise to our students and our community. As we launch our Opening Doors campaign, CCS is shining a spotlight on the people around the college who understand the importance of promoting the SF brand and who collaborate with CCS to do it right! 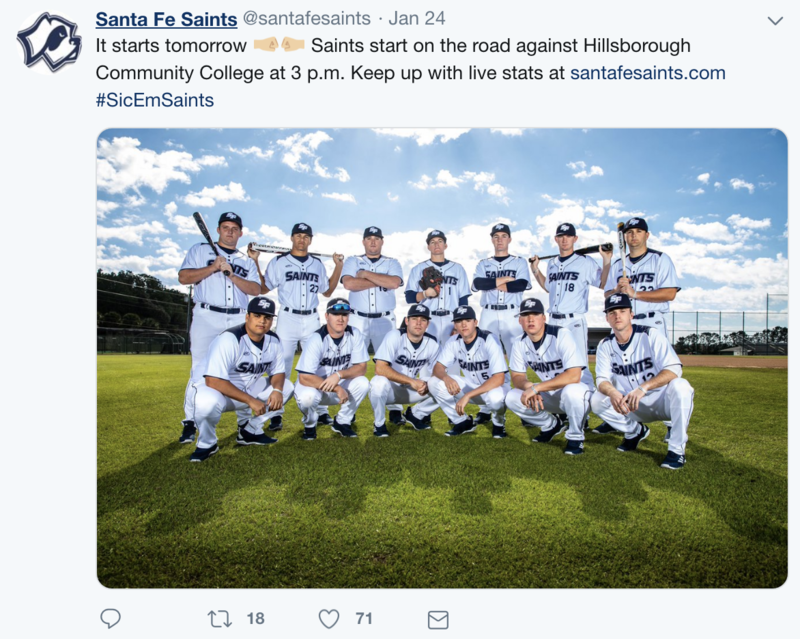 Over the past month, Kellie has stepped up to the social media plate and knocked the Saints’ accounts out of the park! 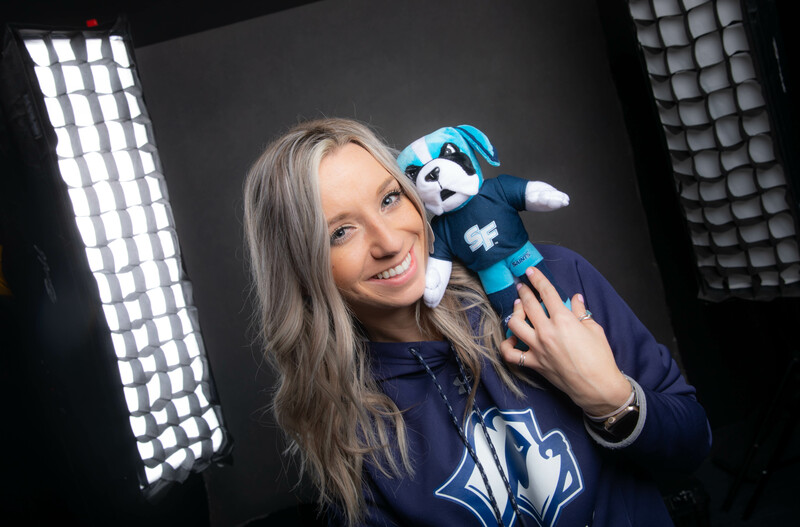 As the primary administrator of the social media pages for Athletics, Kellie uses a consistent message and voice that is both on brand and relatable to the department’s target audience. She consistently posts with the correct usages of Santa Fe College (e.g. SF), with formatting that adheres to the SF style guide (e.g. using a.m. and p.m. instead of am/pm and AM/PM). She utilizes Instagram stories and Twitter in a way that is fun and accessible but still communicates important information. And she keeps things fresh and always shares any ideas or concerns with CCS whenever they arise. Way to go, Kellie! 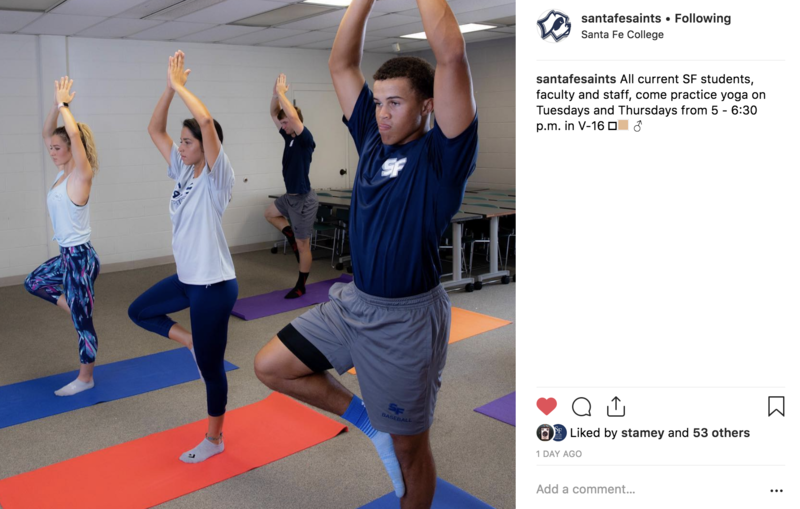 If you want to see what else is going on with SF Athletics, follow them on Facebook, Twitter and Instagram. 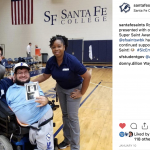 If you post to social media on behalf of the college, and you are not yet a part of the official Social Media at Santa Fe College group, please email social.media@sfcollege.edu. 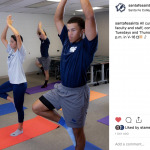 Having great photos and content to post on social media increases engagement and activity on your pages – check out all those “likes”!! 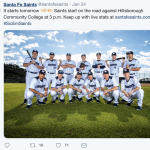 A Saints baseball post on social media. Notice how our Brand Ambassador of the month uses proper AP style by using “p.m.” not PM or pm. Thanks, Kellie! !